Pocky made in Thailand is a rare treat, as this famous snack is made around the world and most of what we get in USA is from China or Japan. We have a few cases to offer, just arrived from Thailand. Fresh pack and ready for you to enjoy. Great price on a bundle of 10 individual boxes. These won't last long. Each box contains about 25 little biscuit sticks covered in chocolate. The box has a clever pull creating a lid that flips back. Thai writing on the box as shown below. 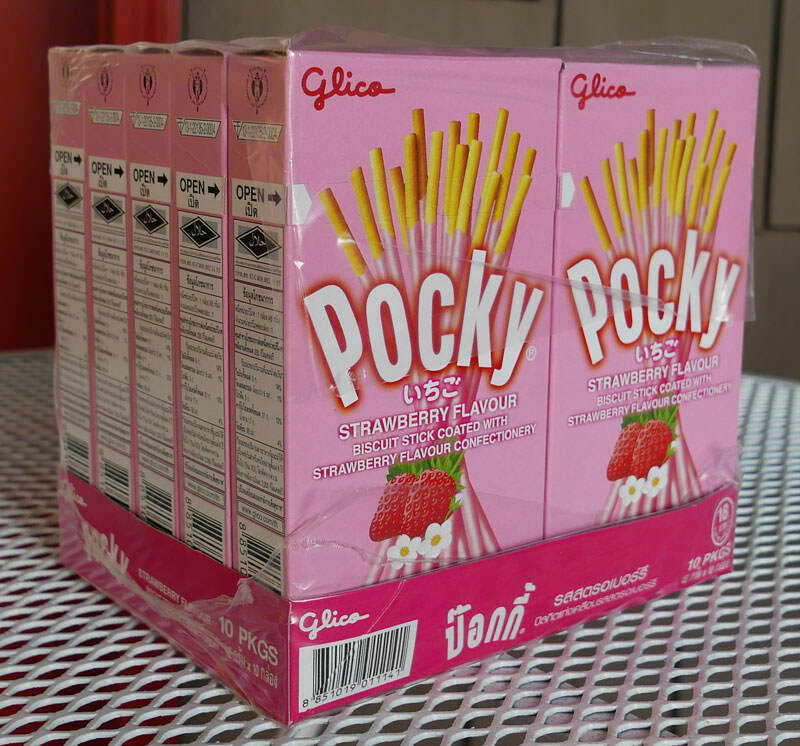 We also offer Thai Pocky Chocolate.